*Disclosure: I received a hotel stay in exchange for this post. The opinions expressed here, however, are my own. 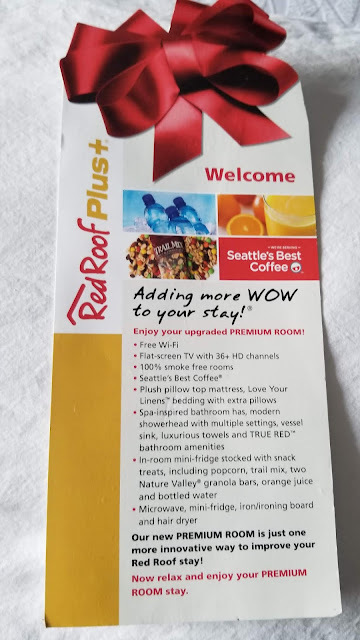 This past weekend, I was in Ann Arbor all weekend for the Cinetopia Film Festival, and from Friday through Sunday, I was able to stay at the Red Roof PLUS+ near UM's North Campus. 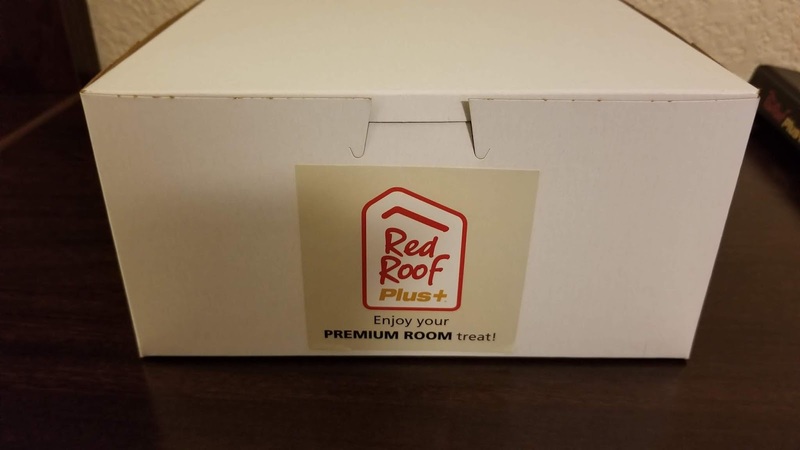 I'll be honest and say that I've never stayed at a Red Roof before. This Red Roof has a great location: it's about a 10-minute drive from downtown Ann Arbor (8 minutes if you're coming from the Kerrytown area, according to my GPS) and conveniently located near US-23, as well. I checked in on Friday morning and was tired from driving all day - I had stayed in Ann Arbor the previous night for Cinetopia, at a friend's place, then had driven back to the Farmington/Walled Lake area for a doctor's appointment and to see my parents. Check-in was easy and the front desk staff was very friendly. I stayed in room 106, which was on the back side of the building near the lobby. The Red Roof PLUS+ has two buildings, and the two of them form an L shape: one where the lobby is, and one on the other side of it. There's also an attached Big Boy, and Plum Market is across the parking lot. 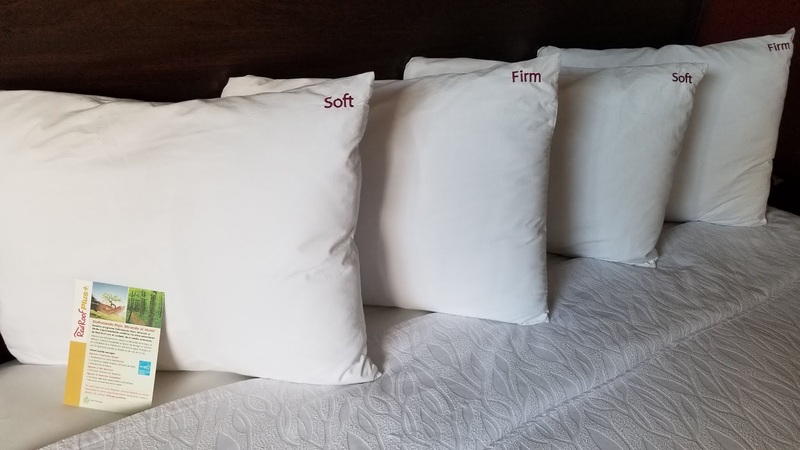 The room had 4 or 5 pillows in it, and most were labeled as "Firm" or "Soft," which was great - I prefer a soft pillow, so I used those. I stayed in a Premium room, which included a fridge and microwave, a safe, and a "goody box" every day, which was awesome. 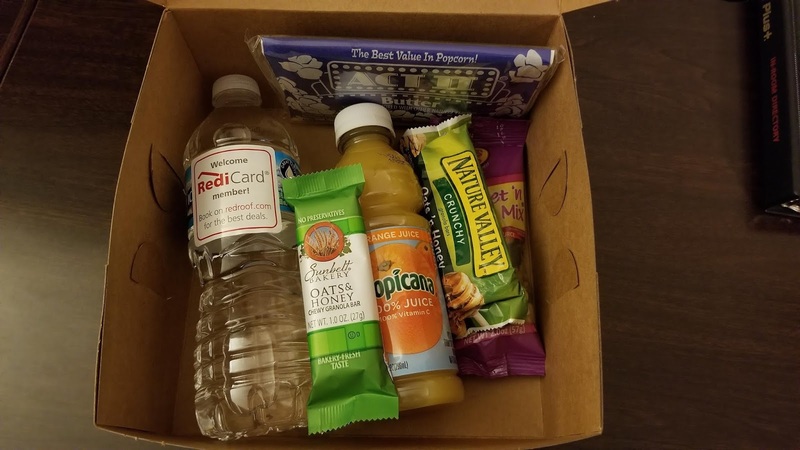 The box included bottled water, orange juice, and some snacks like granola bars and trail mix. I actually received one of these for each night I stayed, which was a nice surprise. 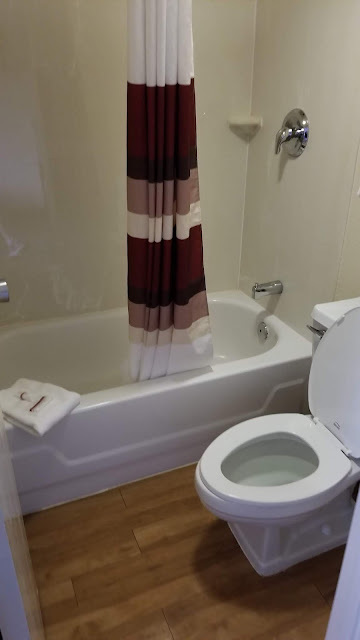 According to the hotel's website, they offer Standard, Superior, Deluxe, and the Premium rooms. All of the rooms except the Standard offer Seattle's Best Coffee, a spa-inspired bathroom, and a fridge and microwave combo, as well as a desk/workspace area. 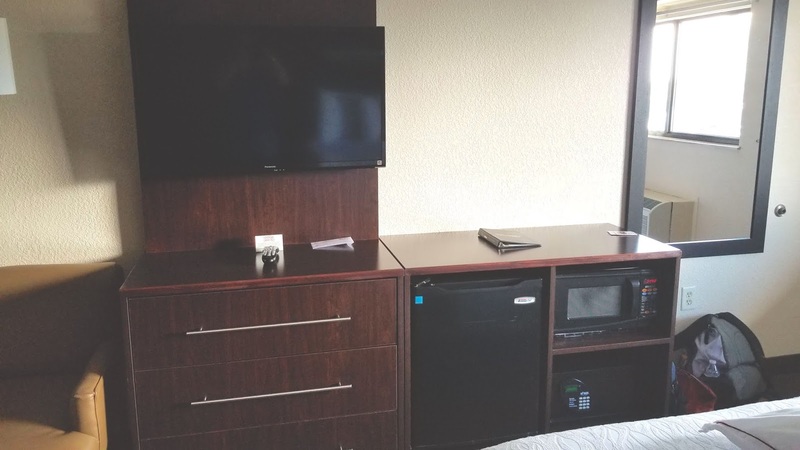 All of the rooms (including the Standard) offer an in-room safe and flat-screen TV, are non-smoking, and have Rest Suite beds by Serta. The fridge/microwave combo was definitely useful - it was nice to have cold water to drink in the morning. The bathroom area itself is small, but the sink area is part of the main room and so was spacious. The workspace area was nice to sit at in the morning as well. Both buildings of the Red Roof PLUS+ have two floors. Because I stayed in room 106, I was on the first floor, which was convenient as parking was located right in front of it. The bathroom shower had good water pressure, and the vanity area had a lot of counter space. 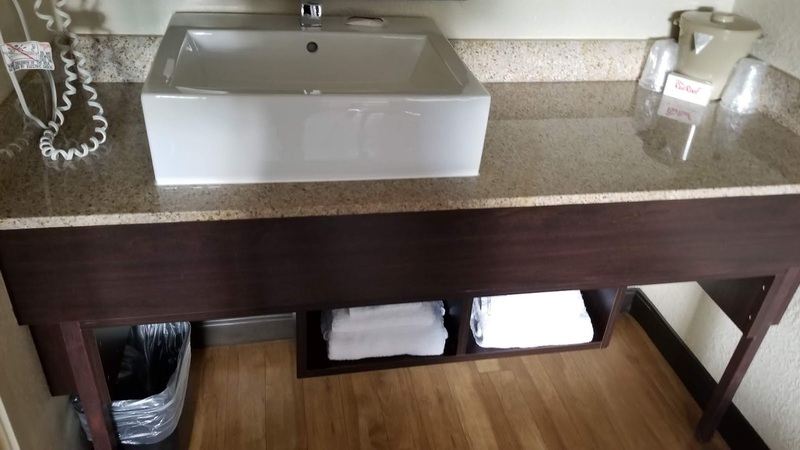 I didn't pack a ton of toiletries for a 2-night hotel stay, but it was nice to be able to put them somewhere. The hotel also provided a conditioning shampoo and, of course, soap. For every registered adult that stays at the Red Roof PLUS+ Ann Arbor, you get a Big Boy breakfast voucher, which is a great deal. I didn't take advantage of this because I had early lunch plans on both Saturday and Sunday, but there is a list of meals that is included; if you decide to choose something NOT on the list, I believe you get a $3.50 discount off your breakfast, instead of complimentary breakfast. Tax and tip are not included. The hotel also offers room service from Big Boy. 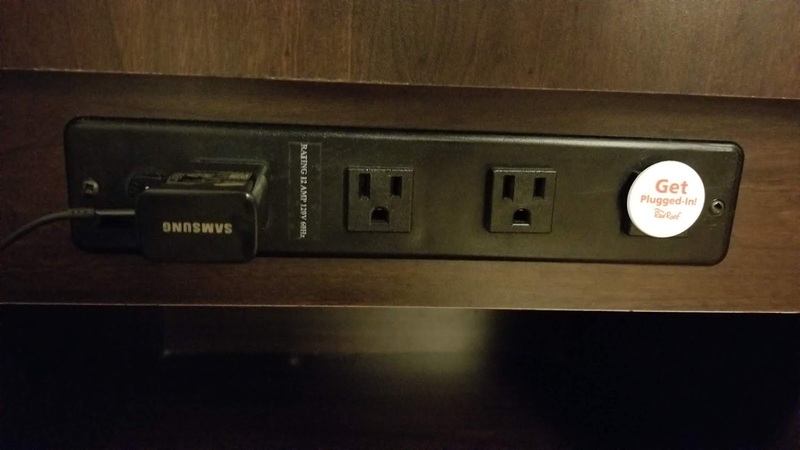 As a blogger, I was a big fan of this power strip that was built into the nightstand - it had three different places to plug in your devices. I will say I had an issue with the wifi when staying there - weirdly, it worked directly outside of the room, but not inside of it. 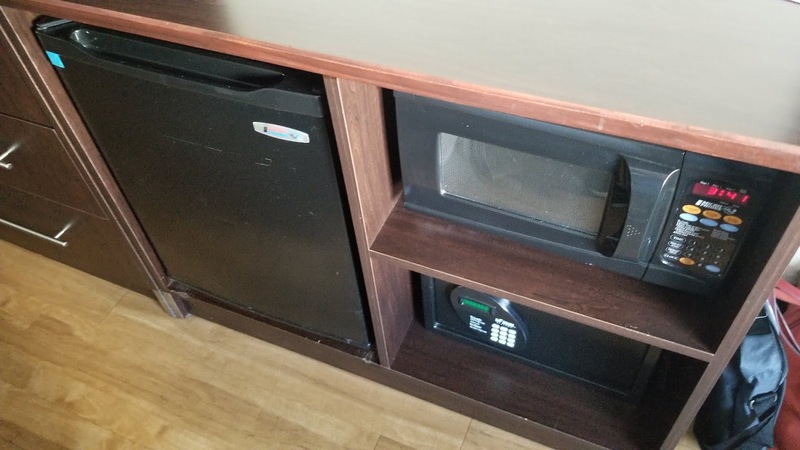 I talked to the front desk about it and they followed up with me the next day too; they tried their best to fix it, but when I checked out on Sunday, it was still not working in my room. 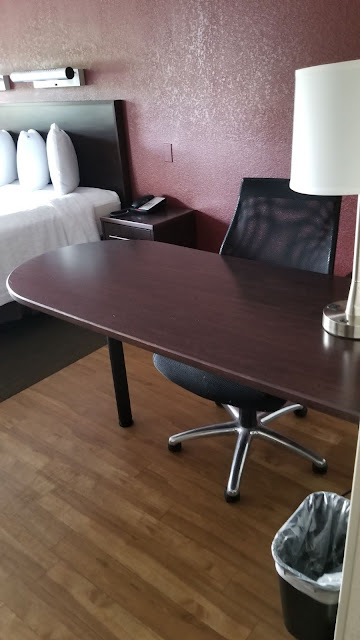 The front desk was very apologetic about this, however, and I can't really ask for anything more; I was mostly in the room to sleep, not work, so it wasn't a major issue. 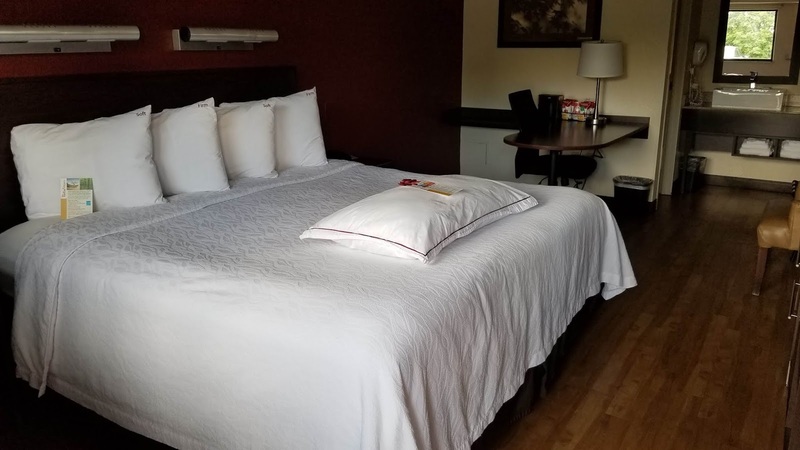 Overall, I was pleased with my Red Roof PLUS+ stay, and would recommend it to anyone visiting Ann Arbor. It's a quick drive downtown and would also be a nice option for football season, as it's away from the craziness of the stadium / South Campus area. 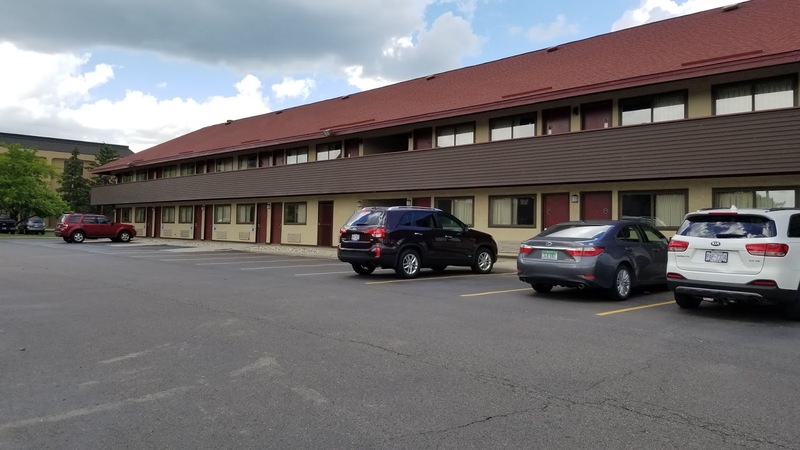 It's also very close to the UM hospital—the hotel offers shuttle service to/from all of the area hospitals—and it's located on Plymouth Rd., which has many restaurants and grocery stores. Have you ever stayed at a Red Roof or Red Roof PLUS+? If so, how was your experience? 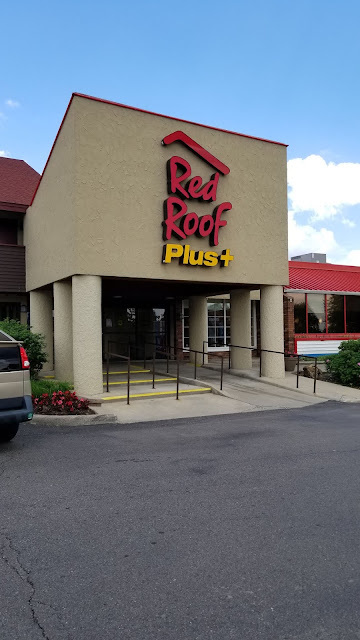 Red Roof PLUS+ is located at 3621 Plymouth Rd., Ann Arbor, MI, and can be contacted at (734) 996-5800, or by clicking here.